A stair-step type of design at the top of the triangular gable-end of a building. This is a type of parapet wall. Early examples, from the 15th century onwards, are found in England, Denmark, Germany, Switzerland, and Sweden. 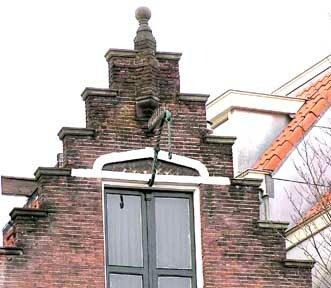 The step gable is a feature of the northern-renaissance revival styles.